If you want to see what happens when a society enthusiastically swallows the euthanasia poison, look at Belgium. Perhaps influenced by its neighbor the Netherlands — which pioneered euthanasia permissiveness — Belgium legalized euthanasia in 2002. The country has since leaped head-first off a vertical moral cliff. As usual, when the law was being debated, supporters described it as being strictly limited to those at the end of life for whom nothing else but killing would adequately alleviate suffering. That is definitely not how things have worked out. The international media usually ignore euthanasia and assisted suicide abuses. But even the complacent Fourth Estate couldn’t ignore the joint euthanasia deaths of disabled Belgian identical twins named Marc and Eddy Verbessem. They had a cup of coffee in the hall, it went well and a rich conversation. Then they separation from their parents and [each]brother was very serene and beautiful. At the last there was a little wave of their hands and then they were gone. In a morally sane society, Dufour would lose his license to practice medicine and be tried for homicide. But Belgium apparently no longer fits that description. Perhaps the Verbessem lethal injections should not surprise us. In the last few years, euthanasia consciousness has bored deeply into Belgian societal bone marrow. Euthanasia After Sexual Exploitation by Psychiatrist: Bioedge recently posted a story, taken from Belgian news reports, about the euthanasia of “Ann G.” Ann was a suicidal anorexia patient who publicly accused her previous psychiatrist of persuading her into sexual relations. When the psychiatrist — who admitted the charge — was not severely disciplined, Ann went to a second psychiatrist for euthanasia. She died at age 44. So, Dufour — the same doctor who killed the disabled twins — killed him! Words rarely fail me. But they do here. 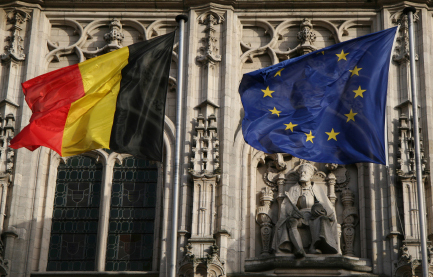 Euthanasia and Organ Harvesting of the Disabled: The joining of voluntary euthanasia and organ harvesting in Belgium first came to light in a 2008. The doctors who removed the woman’s organs after her death published a letter in the medical journal, Transplantation, reporting that a totally paralyzed woman first asked for euthanasia — permission granted — and then to donate her organs after her heart stopped. Since this first known case, other euthanasia killings followed by organ harvesting have been reported. In 2009, Transplantation Proceedings published an article entitled, “Organ Procurement After Euthanasia: Belgian Experience,” in which doctors described euthanasia accompanied by organ harvests from disabled patients in clinical detail. Euthanasia and organ donation has now expanded to include at least one patient with a severe mental illness. As reported in “Initial Experience with Transplantation of Lungs,” published in 2011 Applied Cardiopulmonary Pathophysiology (PDF), four patients (three disabled and one mentally ill) were euthanized and their lungs harvested. By joining euthanasia with organ donation, Belgium crossed a very dangerous bridge by giving society a utilitarian stake in euthanasia. But the acceptance of joint killing and harvesting also sends the cruel message to disabled, or mentally ill people: “Your deaths have greater value than your lives.” In such a milieu, self-justifying bromides about “choice” and the “voluntary” nature “of the process” become mere rationalization. What’s next for Belgium? Euthanasia for children! — currently being debated in the Parliament and expected to become law. But why be surprised? Once killing is accepted as an answer to human difficulty and suffering, the power of sheer logic dictates that there is no bottom. Dear God, have mercy on our world! That is the only sane response to a story like this. So you’d feel better if they jumped off a cliff or tried to ingest a bottle of sleeping pills? And I’m sure you’d feel even better if they botched the job and ended up in a coma for years as a mental, physical, and psychological drain on their loved ones. I once saw a TV talk show with a clergyman of some type who was arguing against giving morphine to the terminally ill because the dying needed to go through the pain to “understand” God better. I don’t know what warps a person to believe that THEY know what is best for everyone around them–but I can tell you that if that sadist thought it was better to let a 4 year old dying of cancer writhe in pain in order to know God I know that God put opium poppies on this earth for a reason. Wow, just washed your hands of all that suicide prevention stuff that Western Civilization has been working on for 2 millennia didn’t you? It’s every man for himself in your brave new world. Friend down in the dumps? Oh, why bother with mental health therapy; just let him slide into depression and be sure to mention how easy and painless it would be to end it all — there’s another person we don’t have to pay for or be compassionate toward. Isn’t your business; you aren’t your brother’s keeper. What Frank said. And BTW Mary–answer the question. Do you want an Evangelical making a decision for YOU–that your terminal child cannot have painkillers because her sweating, writhing, and screaming will help her “understand God” as she is dying? O.K., Dr. Kevorkian Jr., why do you pick the most marginal cases and project them onto the whole screen of related issues? I suggest you mind your own business and let the culture of life deal with life. You, marginal people in the culture of death have one solution out of the vet. book for horses – shoot! Painkillers have been used and will be used for the preservation of life. cminca, your question is contextless, and your attempt at analogy is simply lame. As lame as someone who screams “Taliban” about Catholic moral teaching. Like the question, “Why do Catholics worship Mary”, before it can be answered all kinds of things have to be defined and understood. False premises have to be corrected. So first of all, we establish what the common good is in light of the dignity of the human person. This is natural law. Once we establish that context we can assert positive law in harmony with it. A positive law in harmony with natural law will delineate which decisions are in the control of parents and when, to protect the dignity of the child, the state ought to intervene; it has nothing to do with one individual “controlling” the decisions made by another individual. We are not atomic individuals; we are members of a culture and a society with mutual responsibilities and obligations. And Goral is right: You are cherry picking some flaky marginal position held by an infinitesimal minority and presenting it as though it was a viable option. I’m not playing this game. If you want to talk like an intelligent human being about the real issues, go ahead or else go away.